Ya’ll, I am always looking for ways to make cooking easier.I have had to get so creative with how I get meals on the table in the past year with my severe chronic lower back pain. Since I can’t stand or walk for more than 10 minutes before the pain shoots through the roof, I have to be strategic with how I spend my efforts in the kitchen. When I heard about the Instant Pot and how it can make cooking easier, I just had to check it out. It turns out that the Instant Pot (combo pressure cooker and crockpot on steroids) is designed for someone like me—and probably someone like you too! What Makes the Instant Pot So Awesome? I could probably write more than one post about why the Instant Pot is such an awesome addition to your kitchenand cooking routine, but I will hit the most important features that blow meaway. 1. You can cook food and entire meals directly out of the freezer. How many times do you get to the end of the day and then think about what you’ll fix for supper? I am guilty of doing that most nights of the week. So the fact that I can pull frozen chicken breasts out of the freezer and add them directly to the Instant Pot to cook dinner is amazing and it doesn’t look as bad as when my husband gets home and I haven’t started dinner yet. 2. Use the sautee feature for cooking pasta, thicken sauces, make roux, and brown or sear meat. I love using a crockpot, but they don’t brown your meats. So, if I am cooking a recipe that requires you to brown something before you put it in the crockpot, well I just might as well cook it on the stove! I also love to cook a good gumbo, but that requires me to stand at the stovetop stirring for no less than 30 minutes—no joke! The sautee feature on the Instant pot does this for you. Wow. I don’t think I even need to comment on this one. Who likes to stand at the sink scrubbing cooked on food off of a pot? Right, no one. 4. It can make popcorn. This is just neat because it’s a way to make popcorn that won’t smell up your microwave. 5. The Instant Pot can make cheesecake! Really? I can’t wait to try the pumpkin cheesecake recipe (at the bottom of this post) for Thanksgiving this year. 6. You cook meat in bulk and freeze for later. One of my best cooking tips for making things easier when you have a chronic illness is to take apart a pack of chicken breasts (or any type of meat) as soon as I get home from the grocery store and season, pack it separately, and put it in the freezer. Using the Instant Pot to also be able to cook meat in bulk and then freeze it takes this tip one step further. A great way to batch your cooking and save time and energy. I know it might be intimidating the first time you unpack your Instant Pot. You can get started immediately by visiting Paint the Kitchen Red. 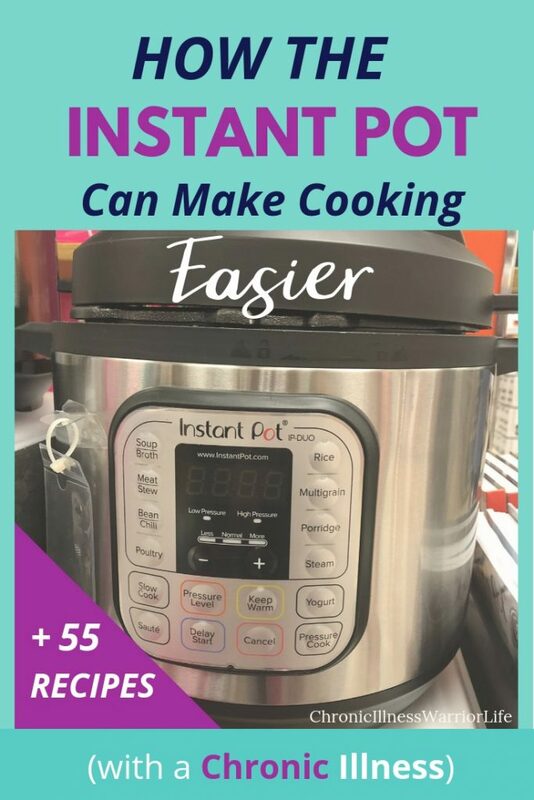 They have a great quick-start guide for the first time you set up and use your Instant Pot. She also mentions that it is important to try your first recipe with something simple like cooking rice or hard-boiled eggs. Also, make sure to use an“official” Instant Pot recipe from experienced bloggers or cookbooks. And definitely don’t deviate from the cooking instructions in the recipe. There are a lot of buttons on your Instant Pot and many of the buttons can be used for multiple functions and purposes. Just like an oven, there are many options of temperatures used in cooking. The Instant Pot doesn’t just use different temperatures to cook food, it also uses different pressures (keep in mind it is a combo pressure cooker and crockpot.) This post from the Awe Filled Homemaker takes you button by button through all of the functions of the Instant Pot. An important part of her article references that the cook time found in the Instant Pot manual, as well as recipes, is not the same as the time it takes for your food/recipe to be ready. Just like an oven, it takes time for the Instant Pot to heat up, then it takes time for the correct amount of pressure to be released. One example given is that 7minutes of cook time translates into about 20 minutes until the food is ready. There are many Instant Pot tipsand hacks that are important for you to know and be able to reference as you beginto use your Instant Pot. I will give you some of the top tips and hacks, butyou can find a more comprehensive list in these two posts. If you use the Instant Pot often, consider buying an extra stainless steel insert. Don’t fill your pot to the brim because some recipes expand during cooking. Adjust your recipe for your altitude. Perform the water test to make sure your instant pot works properly. Learn the difference between quick and natural release. Account for total prep time and cook time when planning your meals. Start off with easy “hard to mess-up” recipes like these hard-boiled eggs. Most parts are dishwasher safe and you should wipe down the outer unit after each use. Let it depressurize by itself. You always need liquid at least a 1 cup of water of liquid at all times. Put meat on the bottom. Regular pressure-cooker recipes need to be converted. Always place the inner pot back into Instant Pot before pouring in the ingredients. Make sure the venting knob is in the sealing position. Cooking times are based on size, not weight. The sealing ring can be removed. Clean the steel insert and lid after each use. Use multiple buttons when cooking. You can and should adjust the temperature. Add 10-15 minutes to cooking time when using pressure. Purchase extra sealing rings (sweet and savory) because they hold the smell. **You can grab a free printable of Instant Pot Cooking Times over at The Typical Mom. I have collected some amazing recipes for you to try in your Instant Pot. Let me know which ones you try in the comment section below! 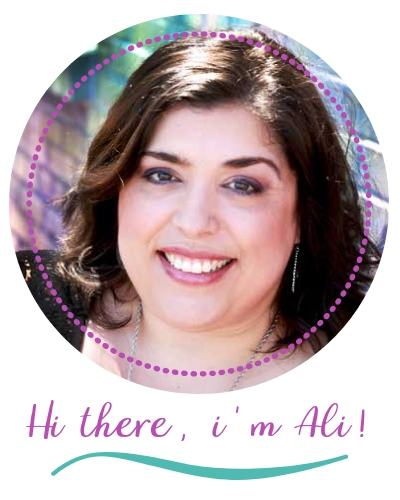 I can’t wait to hear back from you on how the instant pot has made cooking easier for you! Just drop a comment below. Read More About Kitchen & Cooking Hacks . . .
P.S. Would you do me a favor and pin How the Instant Pot can make your cooking easier with a chronic illness: Plus 55 Instant Pot Recipes? I would really appreciate it! Do you have any other cooking tips for people living with chronic illness?